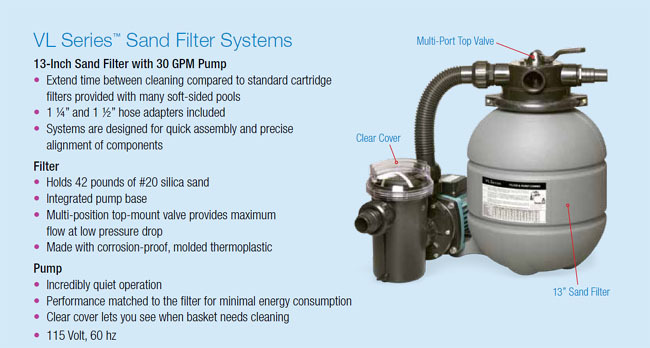 VL Series Sand Filter Systems for above-ground pools, including popular soft-sided models, are designed for durability and value. 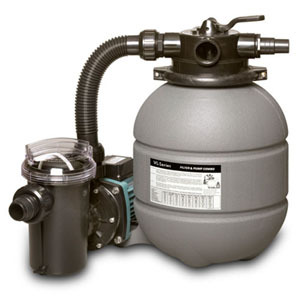 Easy to assemble with an integrated pump base, the incredibly quiet pump and proven sand filter technology provide trouble-free operation. VL Series filtration systems offer the performance and reliability expected from the worlds leading provider of above-ground equipment.